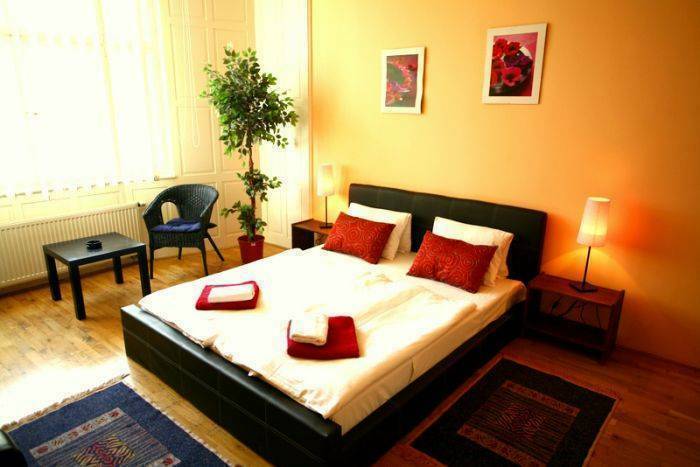 The ApartHotel offer fully equipped apartments in main boulevard of Prague, Wenceslas Square. 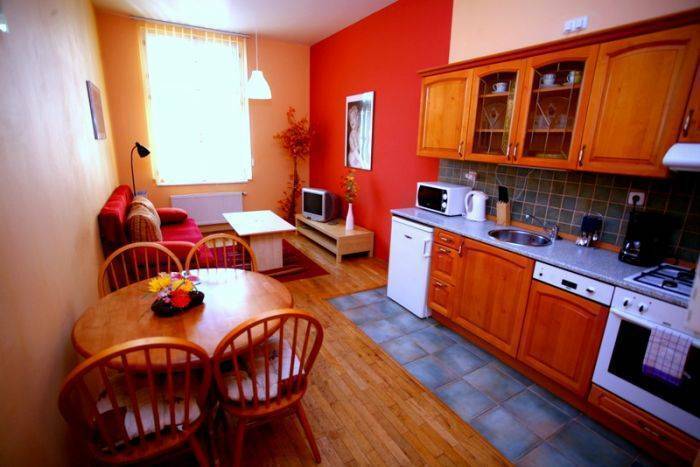 All apartments have fully equipped kitchenette with fridge, dishwasher; cable TV, bathroom with a bath tub. In the hotel there is an underground garage where you can park your building complex is guarded around the clock; elevator. We can also provide pick-up service from the airport or the train station. 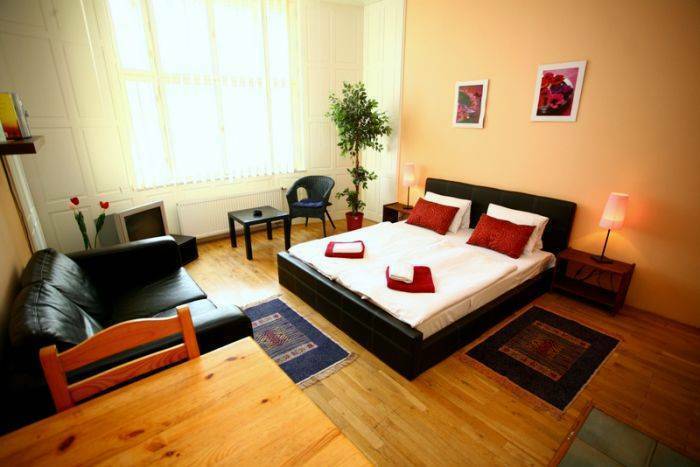 Guests of the apartments are surrounded by many restaurants, bars, cafes, shops, Internet cafes and concert halls and are only a short walk from the Old Town and Charles Bridge. All apartments have fully equipped kitchenette with fridge, dishwasher and microwave oven; Sat-TV, Wi-Fi, bathroom with a bath tub. The reception desk is open daily 24 h.
The building complex is guarded around the clock; two elevators and underground parking are available. 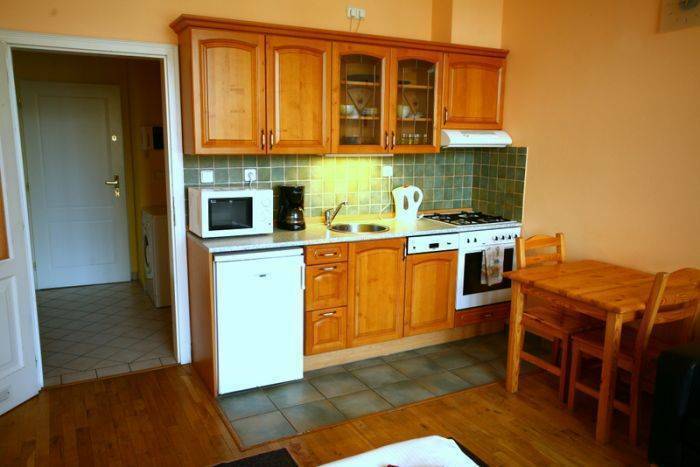 All Apartments are kitchen, bathroom and small hallway. Directly in the complex are restaurant, coffee shop, Internet office, shopping center "MARKS and SPENCER"
Subway Stop "Mustek" is only a few steps away. Old Town Square - 5 min. walk, Charles Bridge - 10 min. walk. There are numerous restaurants, bars, coffee shops, concert halls (e. g. the Czech Opera) and theatres (e. g. the world famous Black Theatre) within walking distance - no limits on fantasies here! 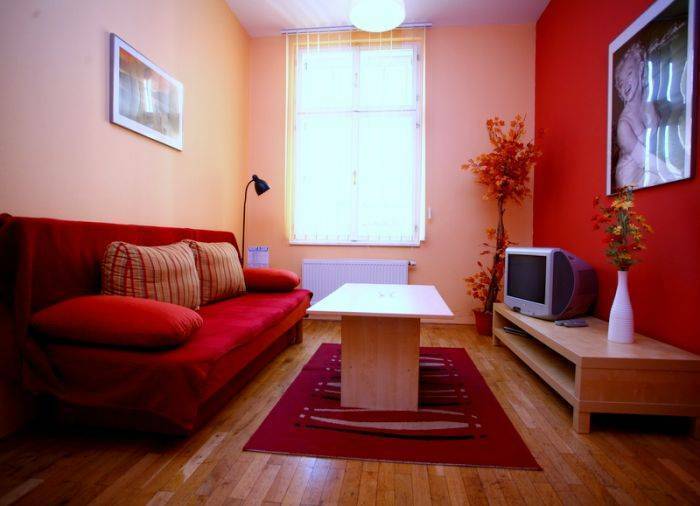 Prominently situated right in the middle of the main boulevard Wenceslas Square, all famous sights are easily reachable on foot from these fully equipped apartments. from Central railway station: Metro line C to Muzeum station, exit right on Wenceslas Square. from Florenc bus station: Metro line B to station Mustek, exit Wenceslas Square. from the railway station Holesovice: metro C to Muzeum station, exit right on Wenceslas Square.